Laurie Berg makes work in a variety of forms including dance and performance, collage, and jewelry. Most recently her work was presented at Danspace Project, Astor Alive! Festival, Beach Sessions, and as part of the Joyce UNLEASHED Series at the Invisible Dog Art Center. 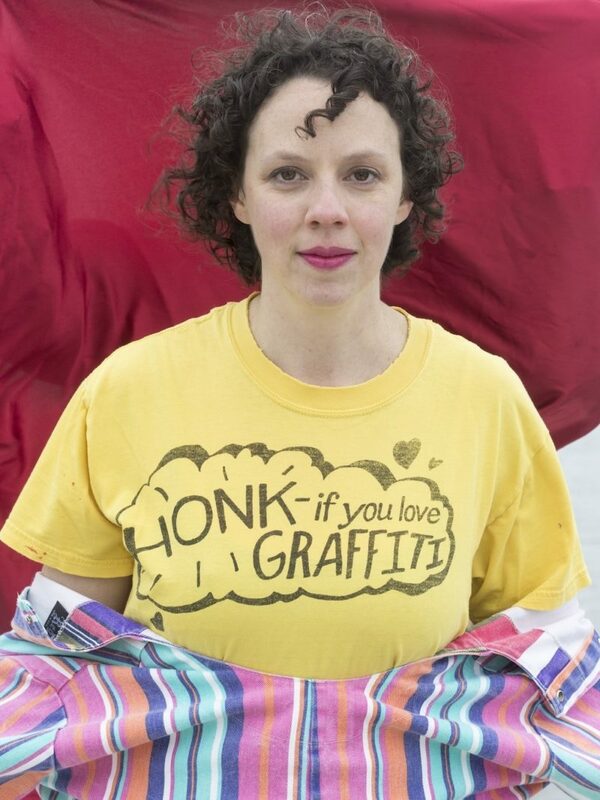 She is the 2016 recipient of “The Tommy” Award, a 2016-17 LMCC Workspace Artist-In-Residence, was a 2013 New York Live Arts Studio Series Resident Artist and a 2010 Movement Research Artist-in-Residence. Berg is also a co-organizer of AUNTS, an underground platform for dance and performance. Her jewelry, which plays with the juxtaposition of real and fake, new and old, precious and plastic, can be seen around the necks of many dance artists in NYC.